If you or your roommate has a disability that fits the definition under the Fair Housing Act (FHA), the law entitles you to certain protections. The goal of the FHA is to have your landlord treat you the same as tenants who aren't disabled so that you can enjoy your apartment like everyone else. A landlord must make reasonable exceptions to rules, as needed to accommodate a disability. If you need a guide dog or other service animal, your landlord can't say no just because the building has a no-pet policy. You should let your landlord know that you would like an accommodation and be ready to provide a statement from your physician or another professional that you need the accommodation for your disability. You don't need to offer any details about your disability or explain the reasoning behind why you need an accommodation to your landlord. A landlord must make, or allow you to make, reasonable modifications to your apartment and common areas. You have the right to make physical alterations to help you live in your apartment, as long as they're reasonable. For instance, a common reasonable modification request is to install grab bars in your bathroom for added support. Unless you live in federally assisted housing, you should expect to foot the bill for these expenses. But you must first get your landlord's permission before making any modifications. A landlord must tell you about all vacancies in the building and then let you decide which apartments are suitable for you. Your landlord must tell you about all vacancies even if she has some available accessible apartments in the building. If you decide you want to see only the accessible or ground-floor apartments, only then may your landlord limit what she shows you. A landlord must charge the same rent and fees regardless of whether you're disabled. Your landlord can't impose charges that, in effect, make you pay for having a disability. For example, a landlord can't charge a higher security deposit to cover possible damage from a wheelchair. A landlord mustn't ask questions about the nature of a disability. Many prospective tenants face questions about their disabilities when they go apartment hunting. But questions such as "Can you walk at all?" "Why do you need oxygen all the time?" "How did you lose your leg?" and "What medications are you taking?" are all illegal. A landlord mustn't require tenants to be capable of independent living. If you need a live-in aide or other assistance, your landlord can't tell you to look elsewhere. A landlord mustn't talk to other tenants about your disability. Your disability is no one's business but your own. A landlord mustn't tell you that you can't rent at the building because it's not equipped with accessible features. Many people who have disabilities don't need accessible features, and only you are in a position to determine your needs. A landlord mustn't tell you that wheelchairs aren't allowed for aesthetic reasons. Some landlords ban wheelchairs because they fear their building would start to resemble a nursing home. But any reason for wanting to keep people who use wheelchairs from renting is illegal discrimination. A landlord mustn't assign you to a certain part of the building because of a disability. 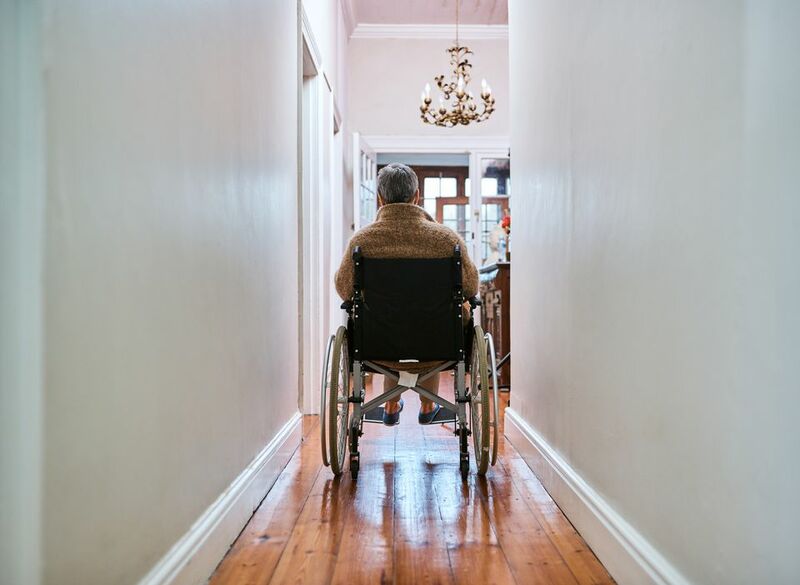 If your landlord tries to put tenants with disabilities in a certain area so that they'll be mostly out of sight of other tenants, this is an illegal practice known as "steering."